Don't let the looks fool you. This isn't just another pretty blade. This knife is big, beefy, and guaranteed to get you out of any jam! Whether you're a trucker, ranch hand, ex-military, or an elite member of a SWAT team, the Wolf is designed to fit every need and go anywhere you do. Not only could you use it to stop an attacker dead in his or her tracks, but it can also be used as a tactical tool for any camping or survival need. 300lb Cord Tie and Glass Breaker - If you get into an emergency, the 300-lb rated cord tie and glass breaker on the handle could be there to help you out! 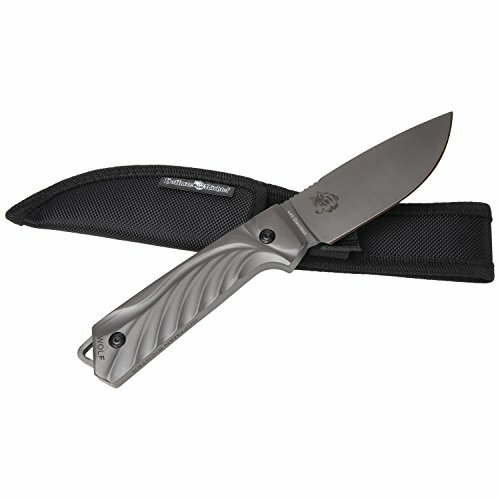 The bottom line is, getting the Hoffman Richter Wolf Fixed Blade Knife is one of the smartest ways to make sure that you are never caught unprepared, no matter where you live or what you do for a living. Buy one today to make sure that no matter where you are, you're never without your unbreakable blade. If you have any questions about this product by Hoffman Richter, contact us by completing and submitting the form below. If you are looking for a specif part number, please include it with your message.